Colliers International in Greater Phoenix has appointed Mindy Korth, a top commercial real estate executive with nearly 30 years of experience in the Phoenix market, executive vice president, adding depth to the firm’s investment sales expertise. Korth will drive Colliers’ investment property sales by pinpointing prime business opportunities for clients, developing business strategies and conducting comprehensive sales transactions. She will collaborate closely with other Colliers’ brokers. Korth’s well-rounded expertise includes a keen understanding of all aspects of commercial real estate transactions, location and market intelligence, and loan acquisitions. Prior to joining Colliers, Korth served as CBRE’s executive vice president of investment properties for 29 years, including 22 years at Trammell Crow Company prior to its merger in 2006 with CBRE, completing transactions valued at more than $2.5 billion and representing more than 18 million square feet. She was part of the top producing Phoenix Trammell team from 1996 to 2003 and in 2005 and 2006. She was a Trammell Top 50 National Producer in 2002, 2003, 2005 and 2006. She has consistently been a CBRE-Phoenix Top 20 Producer since 2007. Korth started her career as a certified public accountant at Deloitte before entering the commercial real estate industry. In 2013, Commercial Executive Magazine named Korth one of the Valley’s 12 most influential women in commercial real estate. The magazine also named her Broker of the Year in 2010, 2011 and 2012. AZRE Magazine named her Big Deal Office Sales Broker in 2012 and People to Know in 2008, 2009 and 2011. The Phoenix Business Journal named her a Who’s Who of the Decade in 2010 and Power Player in 2007. 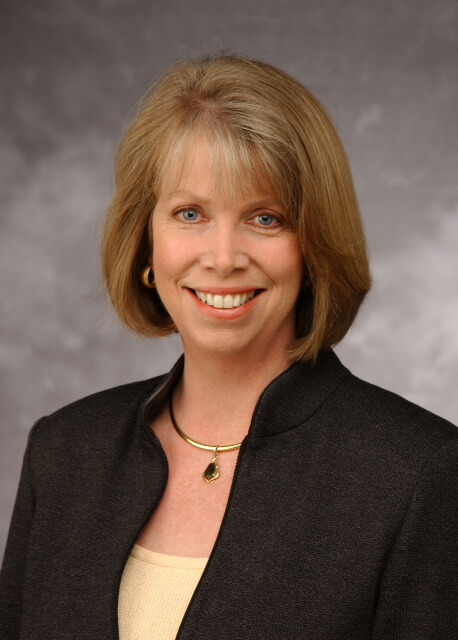 NAIOP named her the Investment Broker of the Year in 2003, 2008, 2009 and 2010. Korth is a board member of the Discovery Triangle Development Corporation and Balsz Community Education Foundation. She is the former board chair of Eight/KAET Public Television’s Community Advisory Board and Valley Partnership. She also is a member of Social Venture Partners of Arizona and Arizona Commercial Real Estate Women having served on both boards. Korth is involved with ULI Arizona, NAIOP Arizona and International Council of Shopping Centers. She earned a bachelor’s degree in business administration from Arizona State University.